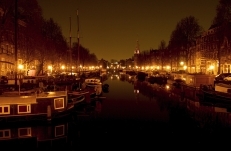 Tourist Shuttle Amsterdam, is proud to announce the launch of its new and improved internet site. As you can see, our site is designed with you, our guest and potential guest, in mind. It is our experience that the best way to market our services, is through “word of mouth”. We have therefore created a platform for our guests to share their experiences, pictures, movies and ideas. We wish to make our site a valuable tool for all of you! • Learn from the experience of other travelers. • Get answers to your questions from our team of professionals. • Send live updates while on tour with us to those who stayed at home. • Share your stories and images. Sitting at home/ office/ train, gathering information for your forthcoming vacation? Check out our guests shared stories and images and start enjoying your vacation now….